Ankle Foot Orthoses (AFOs) are beneficial for treatment of many medical conditions and injuries. A Certified Orthotist will take a 3-D cast/mould of the foot and ankle. This can be performed with the patient in a prone position or in a seated position. The Certified Orthotist will ensure the foot and ankle are in a corrected position and the subtalar joint will be in neutral. Certified Orthotists can accomplish corrections to the foot with intrinsic and extrinsic modifications. Intrinsic modifications are changes made to the positive mould of the foot and ankle. Extrinsic modifications are accommodative padding added to the custom ankle foot orthosis. 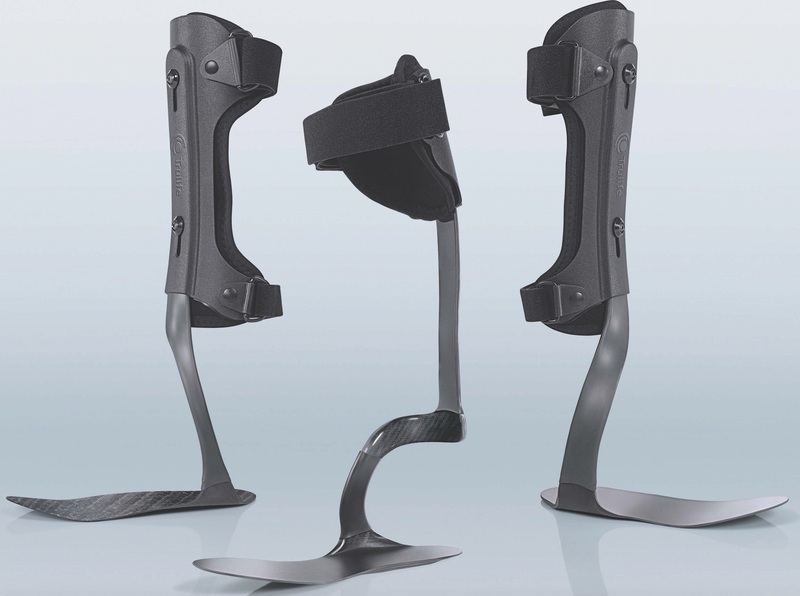 There are a variety of AFO designs, including solid ankle, flexible ankle and articulating ankle. The Certified Orthotist will determine which design is best for treatment based on individuals’ needs and goals. 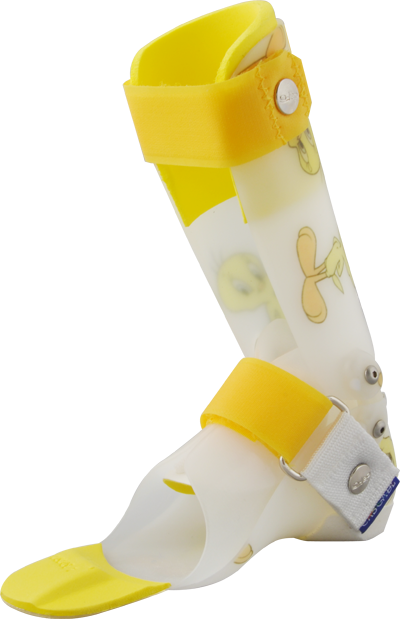 All AFOs have straps to help ensure correct application of the orthosis. Custom ankle foot orthoses work best when used with in a neutral shoe with an appropriate heel counter. Ankle foot orthoses can be switched between shoes. It is best to remove the insole of the shoe to allow space for the custom ankle foot orthosis. The corrective forces applied by the custom ankle foot orthosis may take some time to get used of. The ankle foot orthosis should not be painful; however, it is not uncommon to feel some initial discomfort. The break-in period should not last more than two weeks. If you experience rubbing or blisters, please book an appointment with your Certified Orthotist for immediate attention. If you are experiencing pain after two weeks please book a follow up appointment with your Certified Orthotist. It is always a recommended to book a follow up appointment with your Certified Orthotist if you experience any changes in condition (pain, growth). The Certified Orthotist can determine what changes need to be made or make recommendations for alternative treatment. Custom ankle-foot orthoses can often be modified or refurbished. The Certified Orthotist can reassess to determine the course of treatment with you. 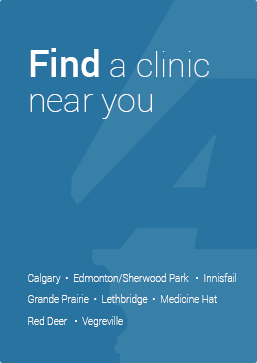 Alberta Aids to Daily Living (AADL) does provide funding for custom ankle foot orthoses for Alberta Residents with valid Alberta Healthcare. AADL will pay 100% for the cost for Alberta Residents over the age of 65. AADL will pay 75% of the cost for Alberta Residents under the age of 65. A prescription for a physician is required. There is coverage for persons with low income. WCB provides coverage with a copy of a prescription from a physician. NIHB provides coverage with a copy of a prescription from a physician. Private insurance may pay for a portion of the cost of your custom ankle foot orthosis. It is important to consult your insurance company to determine the coverage that they provide. Many insurance companies require a physician's prescription for custom ankle foot orthoses benefits. Some insurance companies may request a biomechanical analysis from the Certified Orthotist. There may be an added cost for the Certified Orthotist to provide this report.